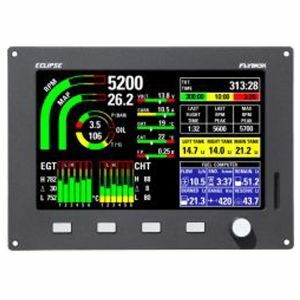 EIS version (Engine Information System) is designed for those who need to monitor all engine parameters, which are completely visible in a single large screen. ECLIPSE EIS shows all engine data, fuel management data and hour-meters. For all the above measurements it's possible to activate an alarm when the relative measurement is out of range. An alarm can be both on display and on the audio out (tone or vocal alert).